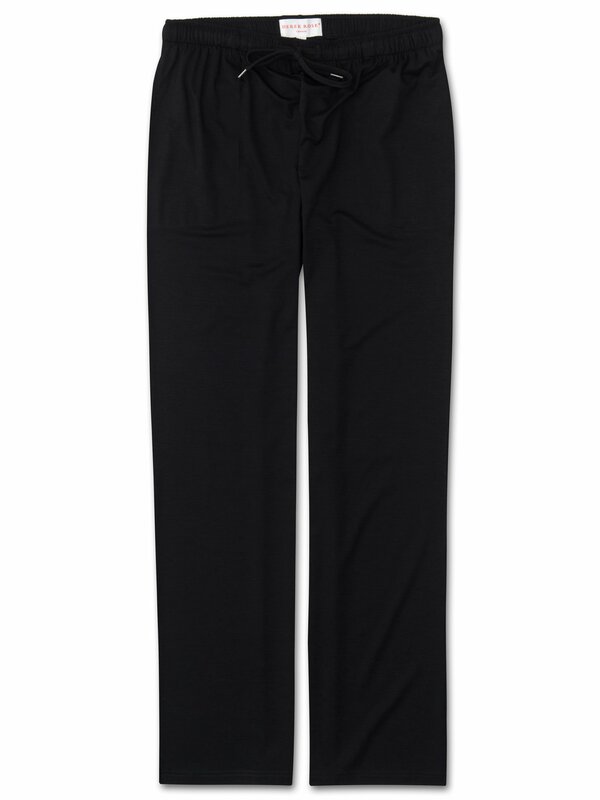 The Basel Black Men's Trouser guarantees maximum downtime comfort. Ideal for lazy Sunday mornings, this lounge trouser is made from our signature Basel fabric for an unbelievably soft and lightweight finish — you'll understand why we rave about this fabric once you put it on (you won't want to take it off). The trouser fastens with a drawstring waist for a winning combination of comfort and flattering fit and its classic and versatile black colour will never go out of style. For a clean and classic look, pair with one of our lounge T-shirts. Model is 6'2" and has a 32 inch waist. He wears size medium.